Les and Levi, The Showbiz Clouds, use their incredible singing skills to calm even the worst weather, and thereby stop blizzards, torrential rain and fog causing disaster on the land below. However, these two musical clouds become so popular that things turn to chaos one summer day during a festival in the sky. They plan their escape – north in search of Santa and his elves who are struggling to reach their present quota for Christmas – can the Showbiz Clouds save the day? 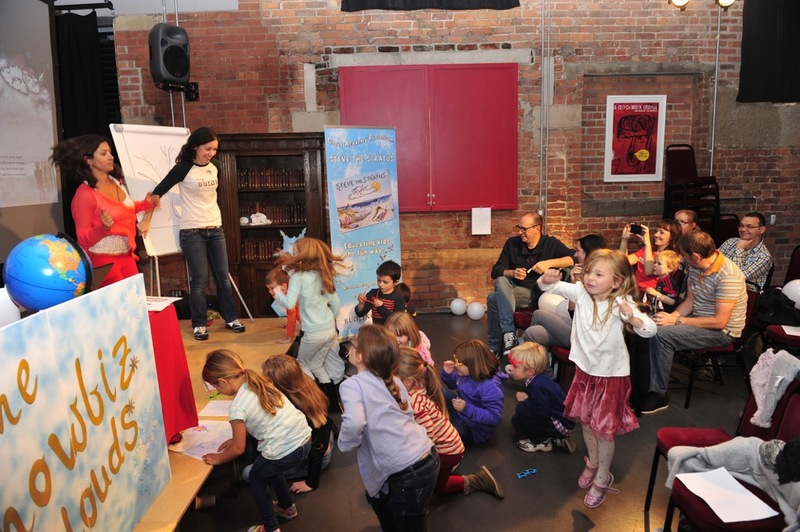 Clare’s stories are fun, colourful and ignite kids’ passion for natural science. 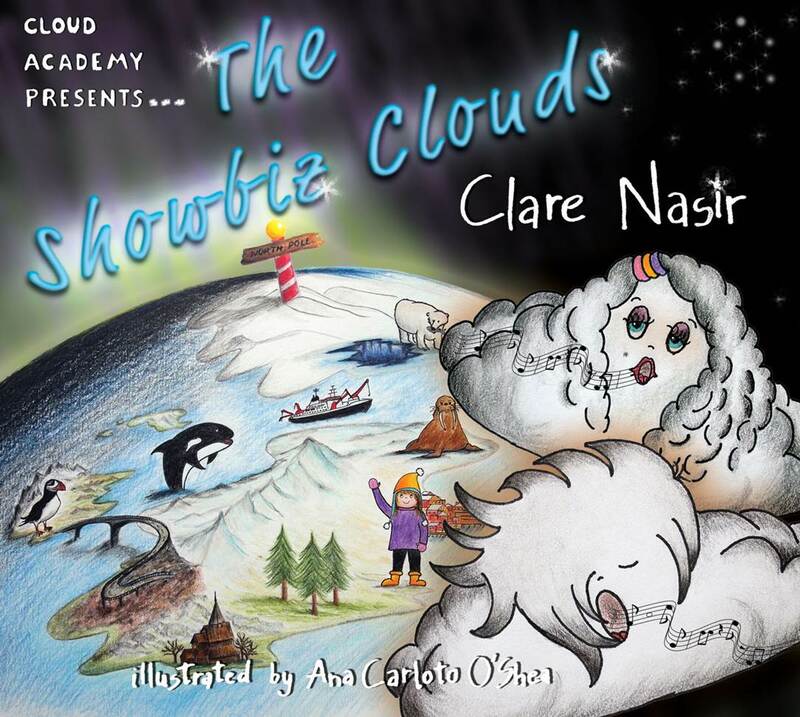 Following the success of Colin the Cloud and Steve the Stratus, The Showbiz Clouds, book 3 in the Cloud Academy Series, focuses on the seasons, extreme weather and has a great set of back pages about how snow is formed. The Cloud Academy Series is a set of rhyming stories for 4 to 7 year olds. 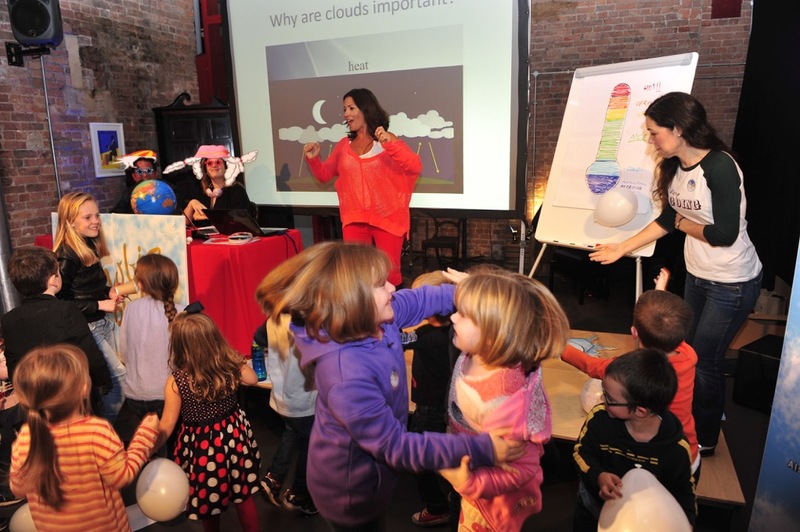 As well as being packed full of adventures of clouds across the sky, they have key learning points about weather and simple, yet clever atmospheric physics. 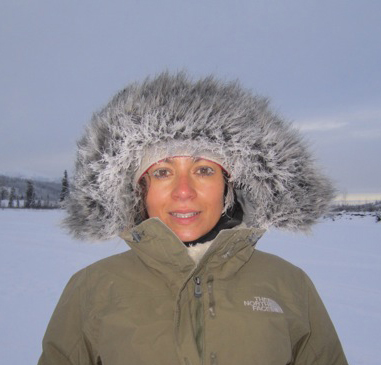 Clare’s meteorological expertise, journalistic experience, coupled with being a mum of a five year old; bring the elements of storytelling and solid science together. During her ten years as GMTV’s weather anchor she was in charge of the output and production for science and weather stories. Today Clare presents on BBC North West and BBC North. She recently co-presented the much-acclaimed children’s science documentary series Fierce Earth for CBBC, now in its second series. She writes regularly for the Huffington Post on science and weather, and many other newspapers and magazines, including First News, the children’s newspaper. Clare is the ambassador for the National Healthy Air Campaign, this involves working closely with environmental law firm, Client Earth, and speaking for the campaign at the House of Lords as well as other events and press interviews. She is also an ambassador for the Princes Trust. Clare lives in Manchester with her husband and 5-year-old daughter Sienna. She is a proud member of the Cloud Appreciation Society and talks regularly at schools about weather, science and motivational issues. 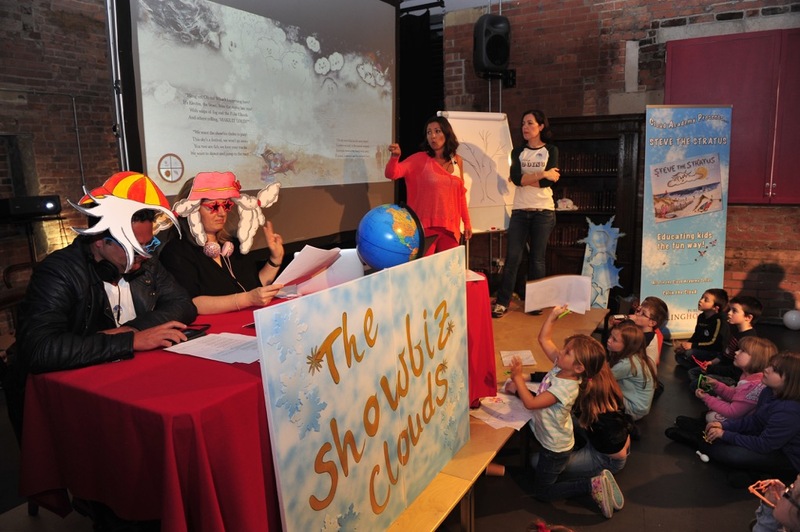 The Showbiz Clouds launched at the Festival of Science, The Science Museum in Manchester.